Recently, several LaFayette students took part in the Echoes writing competition! The Echoes program is a writing contest held for students in grades 6-8, and is considered the largest middle school writing competition in the United States. This year, students from Grimshaw Elementary and the LaFayette Junior High School participated in the annual competition. Sponsored by the Merry-Go-Round Youth Theatre, the competition first asks students to take part in a classroom workshop with Echoes program actors. Students are then tasked with creating an original poem, song, story, or skit, and submitting it for consideration. The greatest of these submissions will be incorporated into an original 45-minute production, performed by the theater! 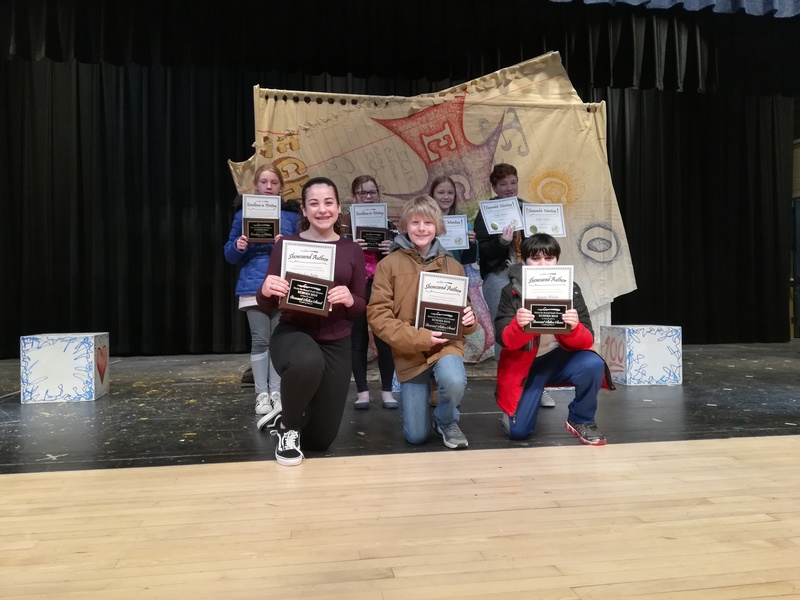 Following this year’s performance, an awards ceremony was held to recognize the school’s featured writers, as well as others who contributed works of special merit that were not included in the show. Paul Wells, Gregory Wheeler (Grimshaw Elementary) and Madison Baker (LaFayette Junior High School) were recognized as a few of this year's showcased artists. Caroline Davidson and Ryan Ortlieb (Grimshaw Elementary) were awarded excellence in writing awards, while Carlee Clemons, Caroline Davidson and Kaitlyn Fabend (Grimshaw Elementary) were received honorable mentions awards. Congratulations to all of our entrants. Fantastic job!